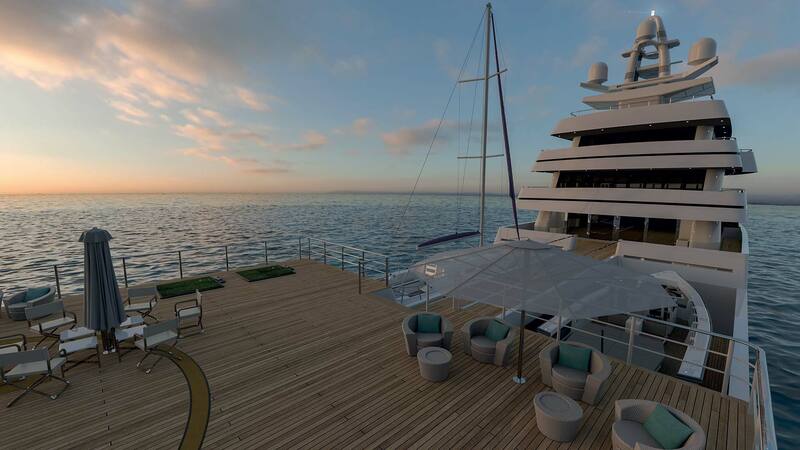 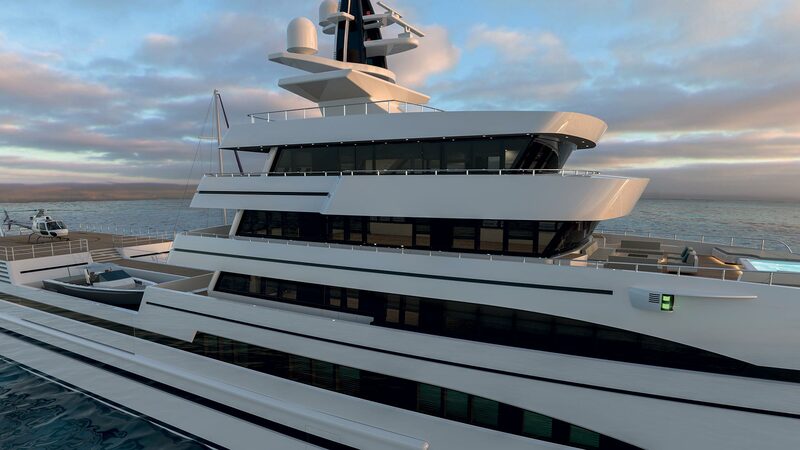 The two deck arrangements with a central or aft helipad, offer a fully certified (optional) helicopter deck above the owner’s dedicated aft area. 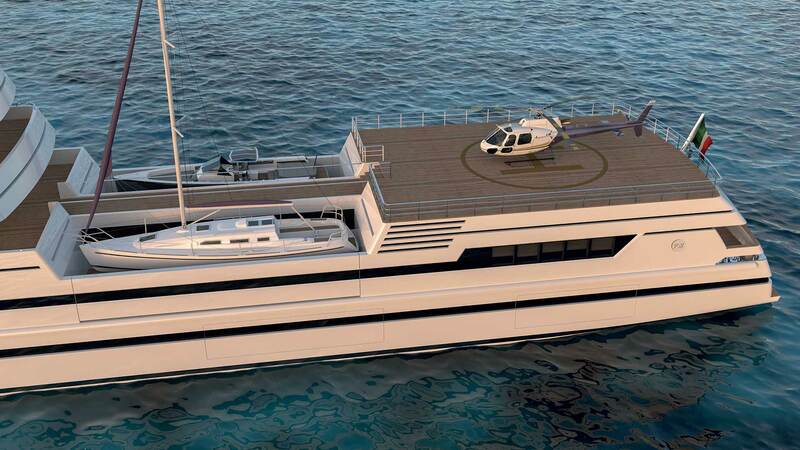 A central gangway connects the helipad and forward superstructure. 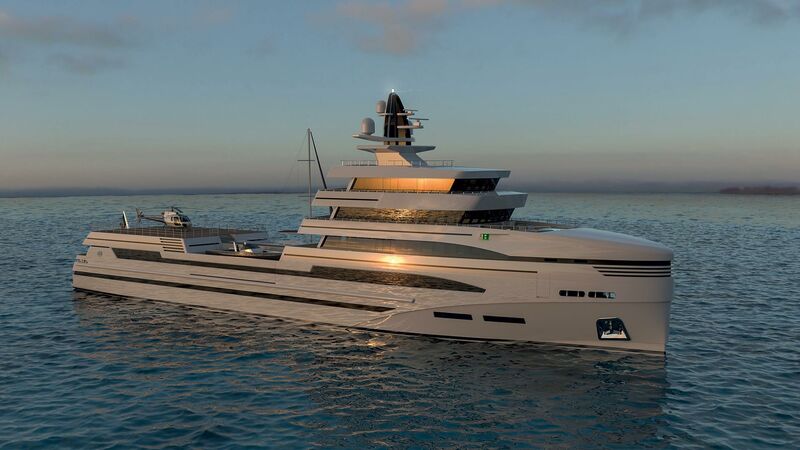 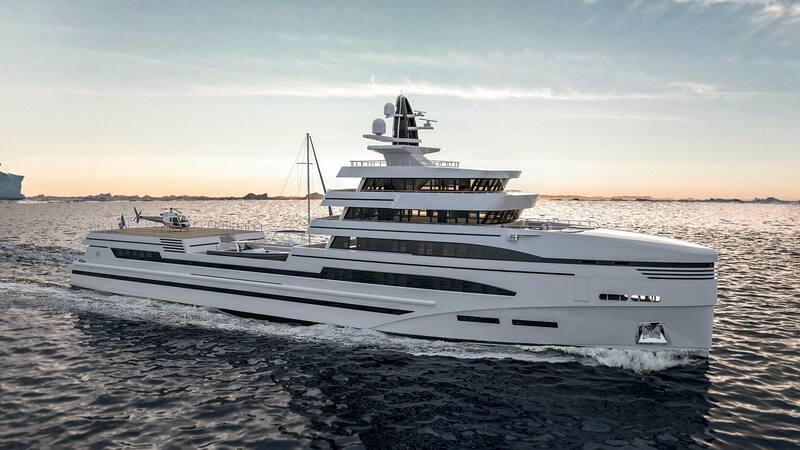 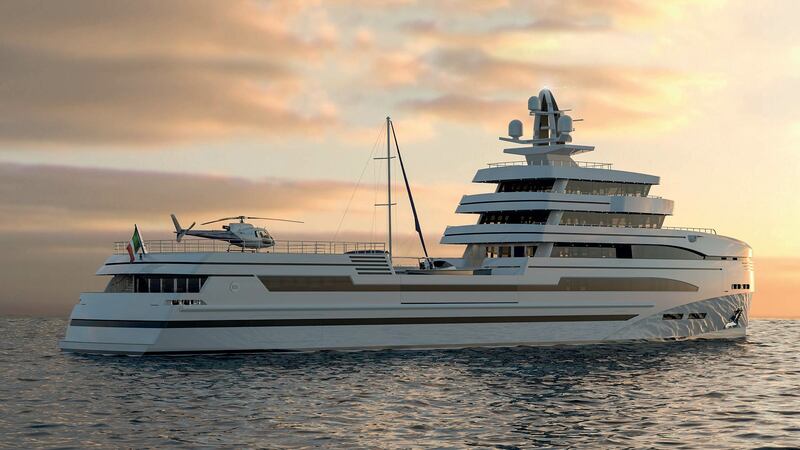 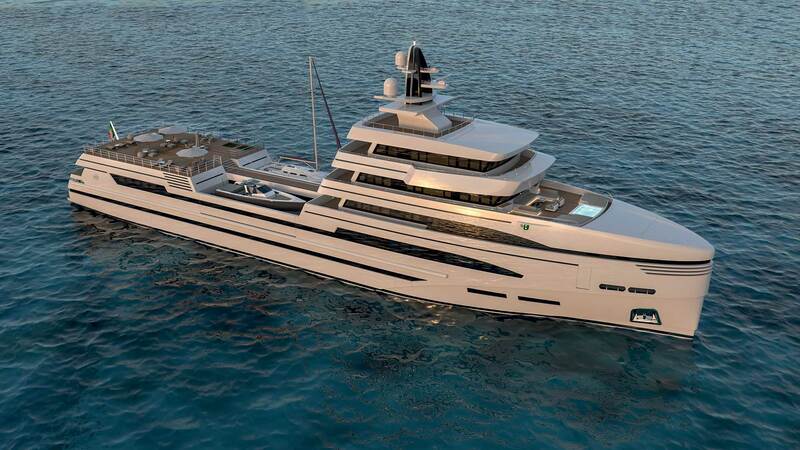 The particular design of these yachts, based on a Rolls-Royce hull and technical platform, consent the transport on board of huge water toys such as a sailboat of up to 20 meters, submarines, runabouts or motoryachts. 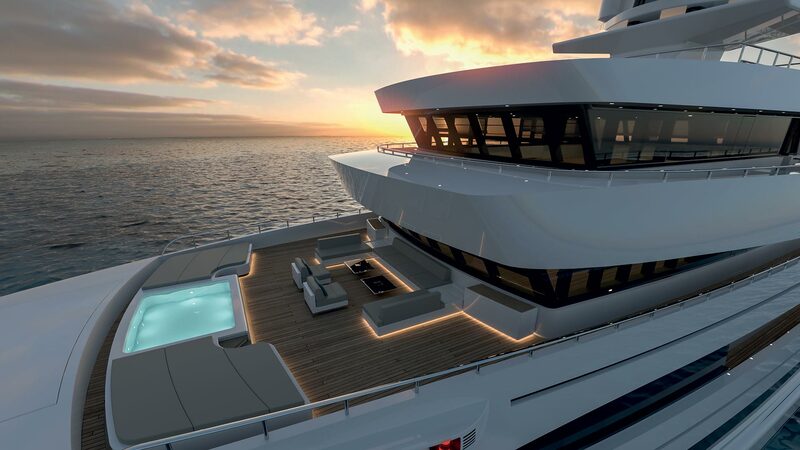 Thanks to their hull design they can cruise in any sea, including the tropical, Artic or Antarctic oceans. 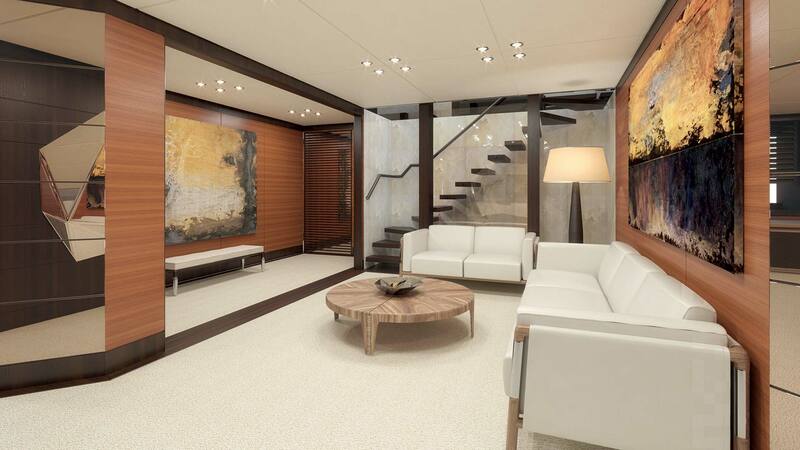 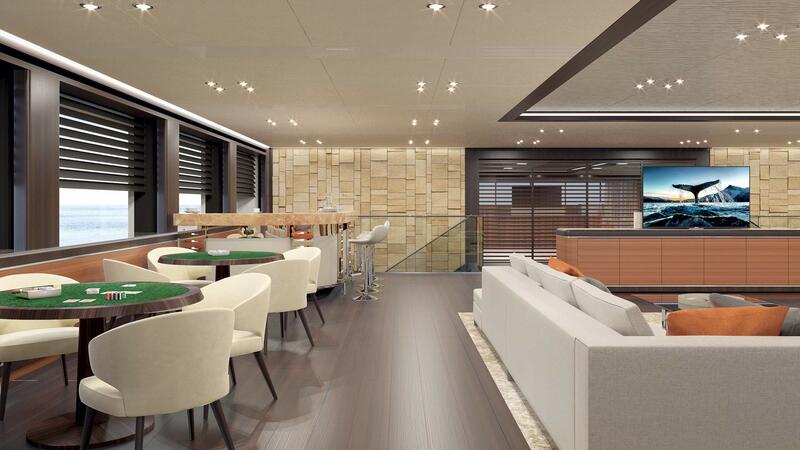 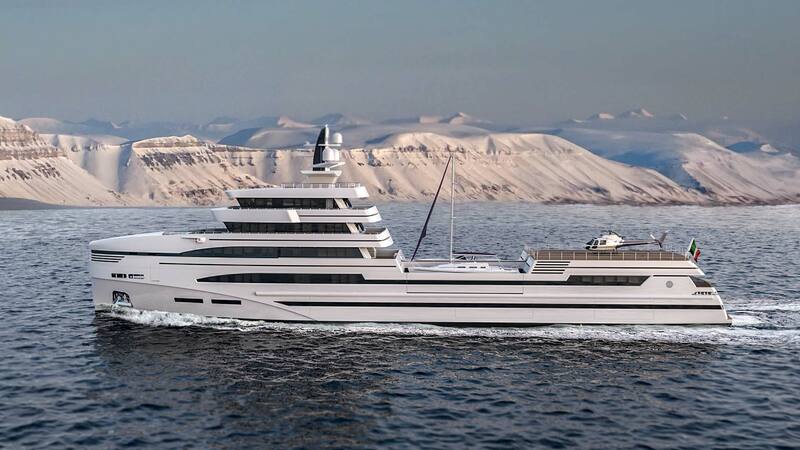 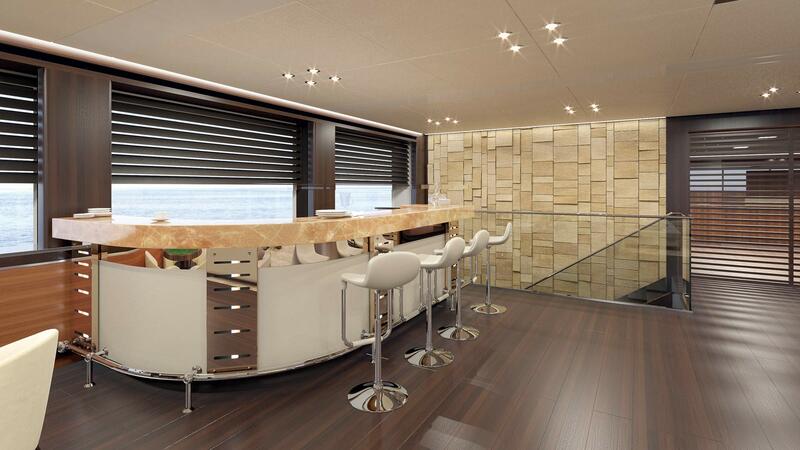 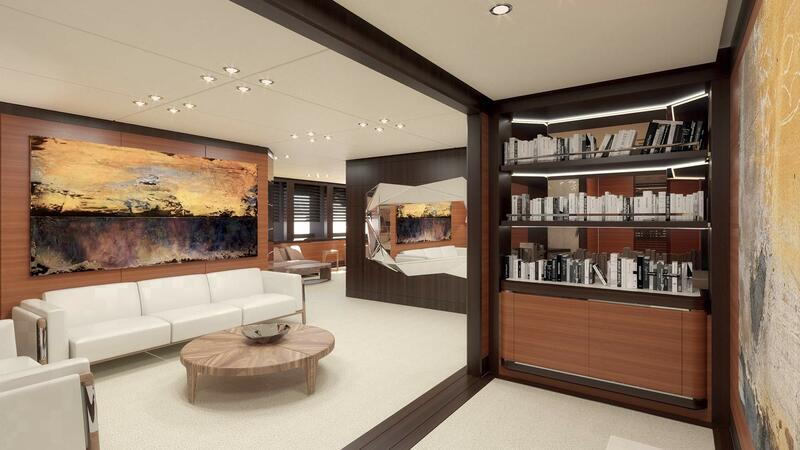 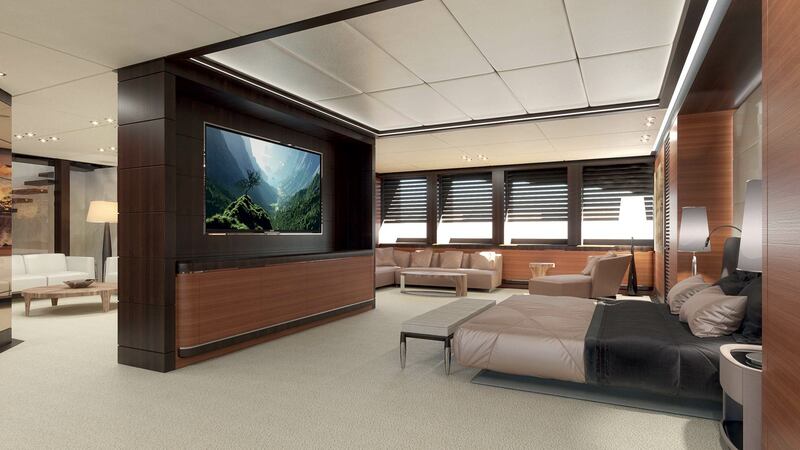 This special 5-deck, a unique Supply Vessel Yacht design featuring 6 cabins for the owner and 10 guests, represents a real masterpiece in the marine world. 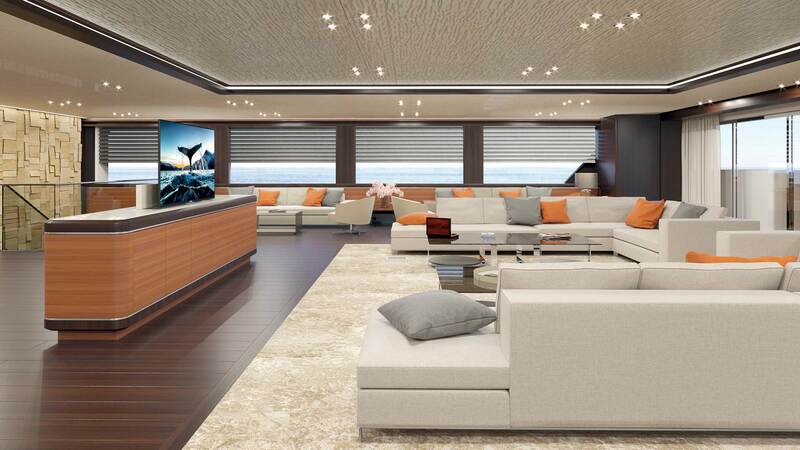 Full service on board is granted by 24 crew members, whose cabins are distributed on three different decks to be immediately available on call. 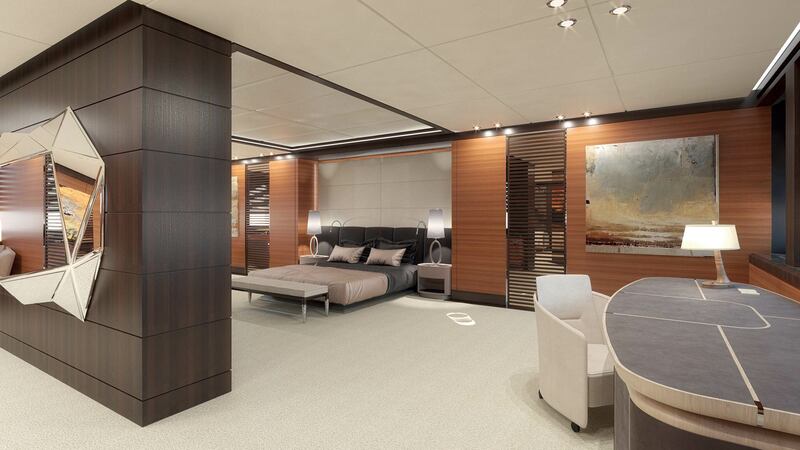 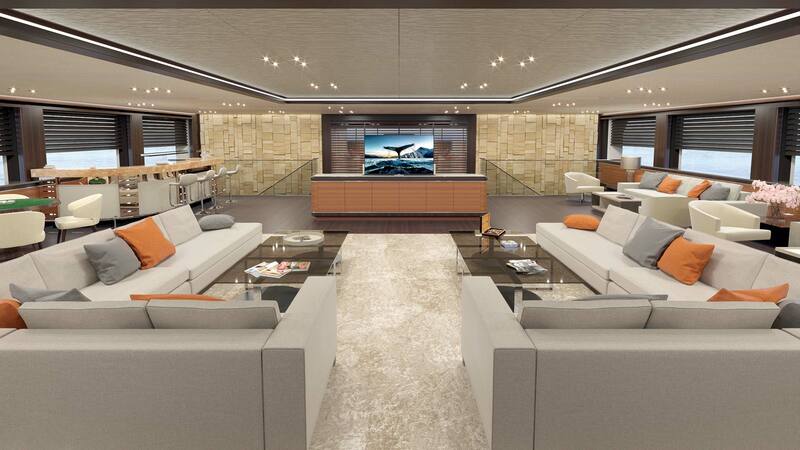 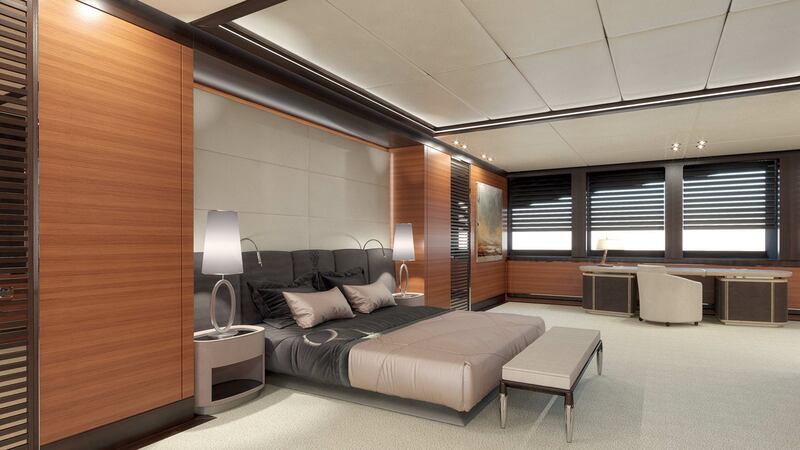 The owner cabin layout can be implemented in both configurations, aft and midship Helipad.